The Skull and Crossbones Cap with Shadow is a unique design. 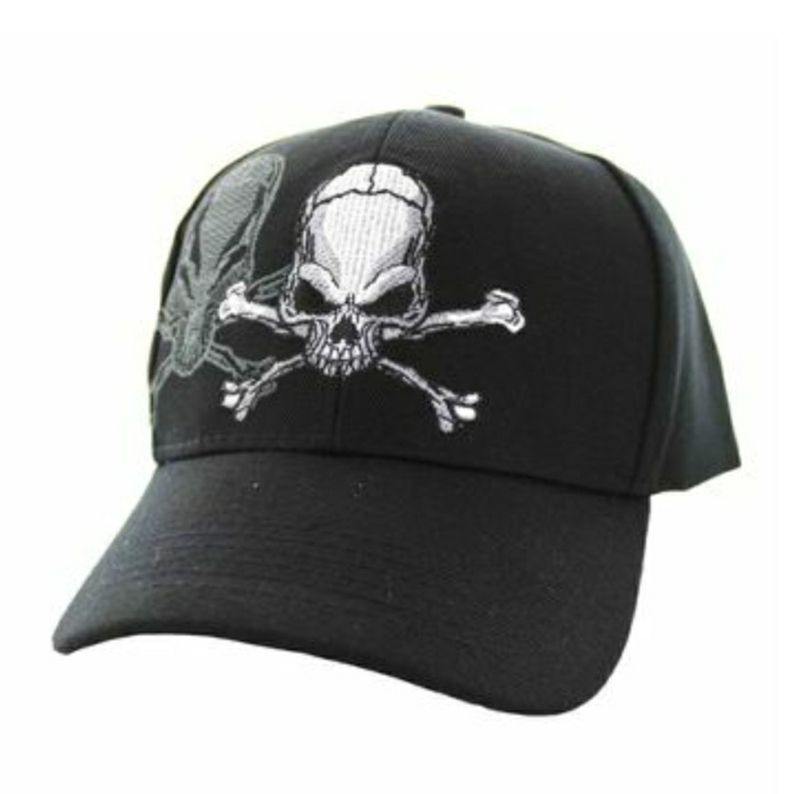 Embroidered in the center of the cap in white and grey is a skull and crossbones. To the right of this design, embroidered in grey is a shadow design of the skull and crossbones. The back of the cap embroidered in white and grey is a skull and crossbones. The back also features an adjustable velcro strap.